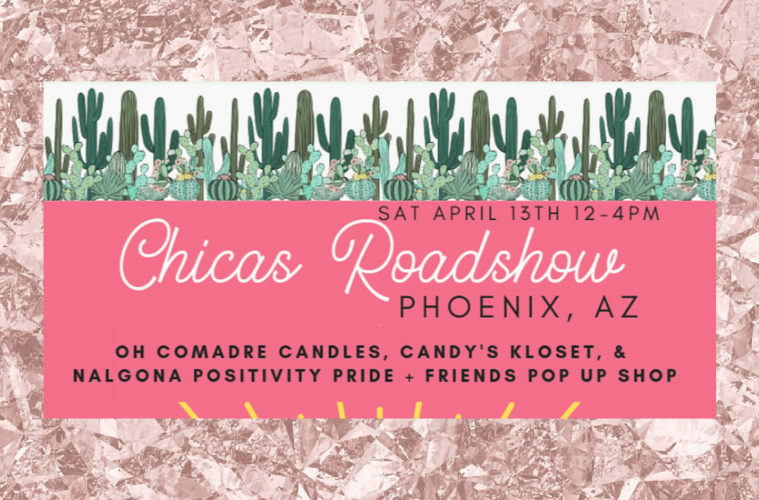 If you live in Phoenix, I have a super fun event for you! 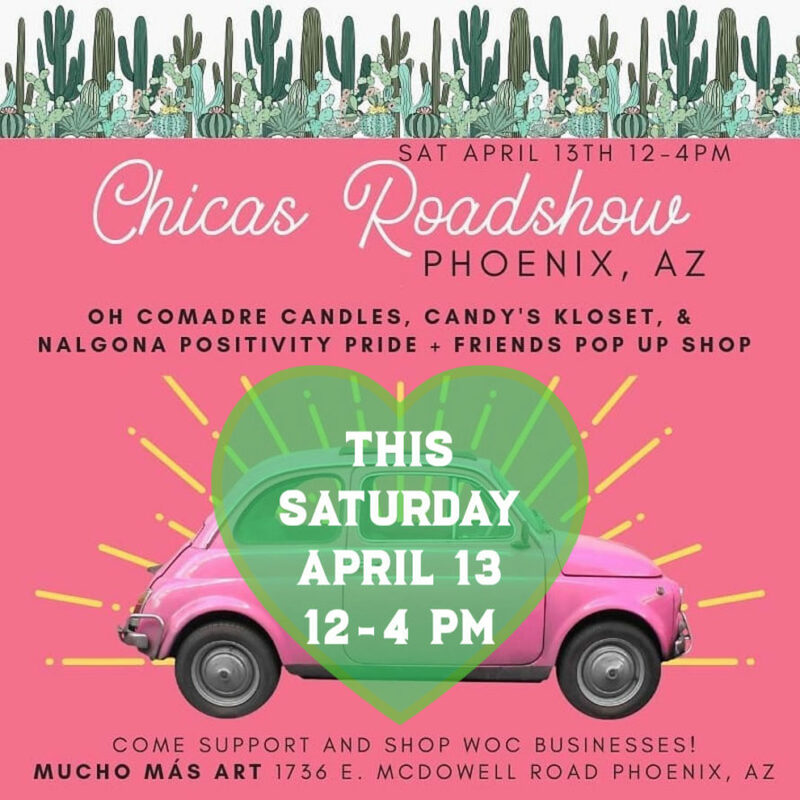 Three of my favorite Latinx businesses from Los Angeles are touring the country and our Phoenix store, Mucho Más Art Studio, is one of their stops! Get your free ticket here (bring it Saturday for a free goody!). 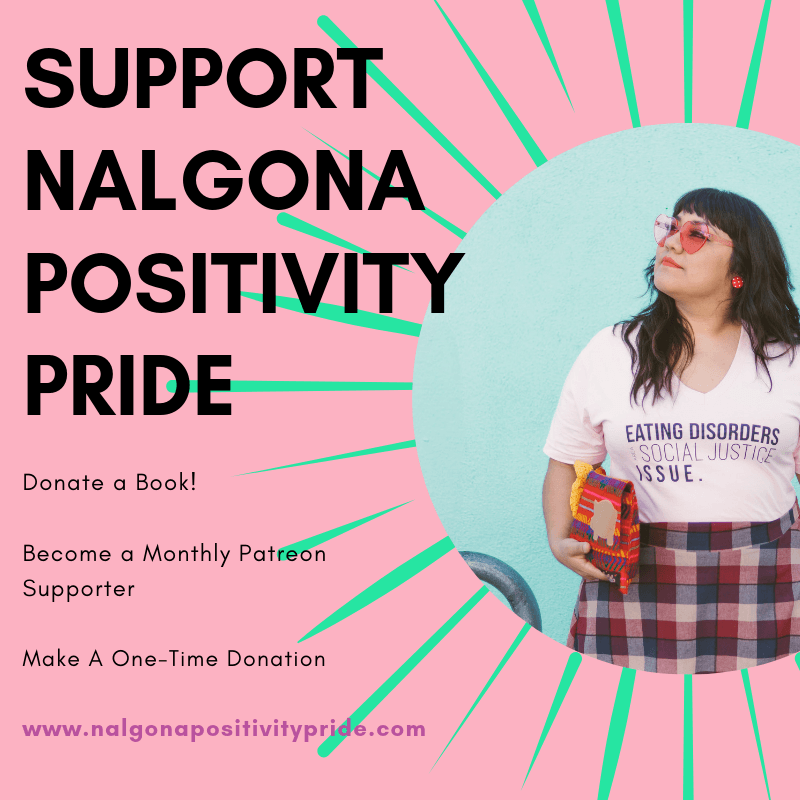 Nalgona Positivity Pride, Oh Comadre Candles, and Candy’s Kloset are arriving Saturday morning and will set up a triple pop-up from noon-4 pm! A recent shot from inside our Phoenix store, Mucho Mas Art Studio. Here’s a pic when we are busy! Here is Gloria Lucas, she is going to have shirts, mugs, posters, buttons and more! We’ll also have Oh Comadre Candles with a wide range of Latino-themed candles made from soy wax. The jars alone are a treat! And here are some items by Candy’s Kloset! We’ll have Phoenix vendors too! Aguas de Ari will be serving up delicious fresh fruity drinks! And Eme from Baja Roots AZ will have her taco stand set up! Did I mention giveaways? We’ll have prizes going out on all our Instagram pages, and if you live in Phoenix and bring your free ticket, we have a little gift for you!